So two weeks ago I started using the Clarins Radiance-Plus Golden Glow Booster, a tiny bottle of serum which claims to help transform your pasty winter complexion by creating a gradual sun kissed glow with minimal effort. All you need to do is add a few drops of the serum to your night cream to create a gradual and natural looking facial tan overnight. 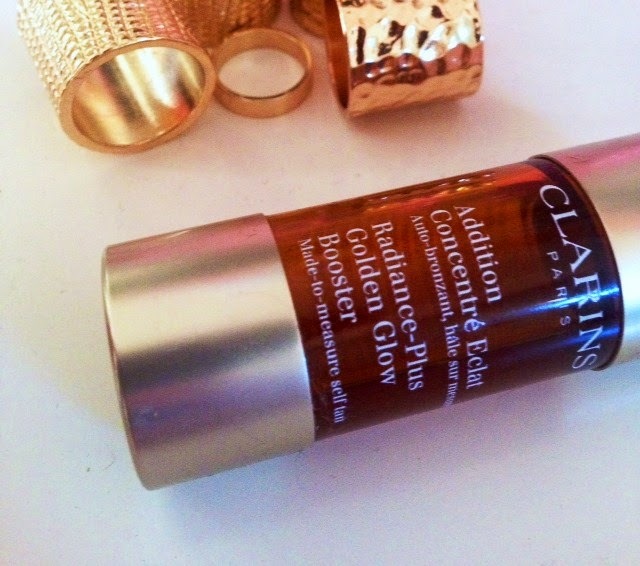 Depending on your skin tone you can adjust the amount of drops you choose to add to your night cream each night and THIS is where I think Clarins Radiance-Plus Golden Glow Booster has the edge over other facial self tanners. Rather than being confined to the usual light, medium, dark options when it comes to purchasing tan, you can adjust the amount of tanning product you wish to use, creating a totally tailor made experience for your specific skin type. Ok, so some people may well be alarmed that this a dinky little 15ml bottle costs £18 BUT let me reassure you that that 15ml will last up to three months, even if applied every night and when compared to the price of most facial tanners it's not really too much of a jump. This becomes especially apparent when you see the results, thanks to the handy dropper-bottle design you can easily dispense the desired amount of product into your night cream or moisturiser to boost your skin tone. I chose to use the product more or f less continuously over a two week period, gradually building a healthy and natural looking colour which has made my skin look a lot healthier and meant that I'm needing to use less and less BB Cream as part of my make up routine each day. Unlike the conventional gradual tanner Clarins Self Tanning Radiance-Plus Golden Glow Booster is free of those orange tones which so often leave you with streaks or patches. I always find the neck area a really difficult place to apply gradual tan mostly due to the presence of those streaky orange tones. Often a facial tanner doesn't create the right level of colour in the neck area whilst an all-over gradual tan tends to give patchy result. By adding the serum to my night cream it meant that my neck also took on a gradual and natural looking glow, as I always extend my skincare regime to include my neck - as should you all! I think people forget how important it is to treat the skin on your neck in the same way as the skin on your face. When it comes to skincare the neck skin is very similar to the facial skin in terms of the aging process. 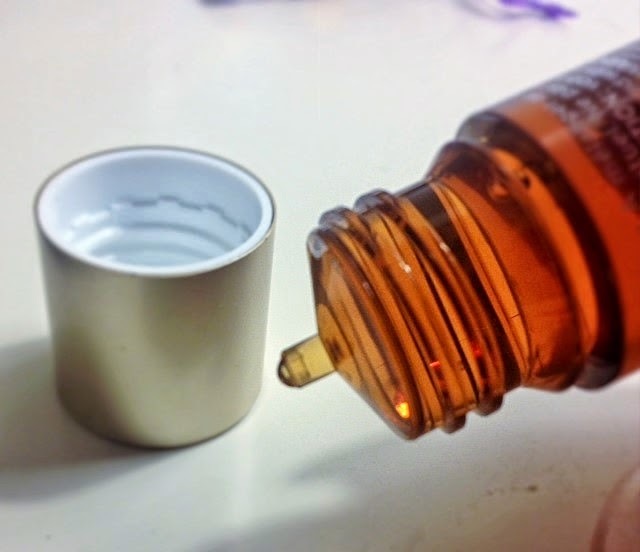 A typical application is 3 drops of Serum, which you can tailor to as little or as much as you would like, although I would not recommend using more than 5 drops per application. I used 5 drops when extending my night cream over the neck area. With just one application you can gain the lightest of glows and a hint of colour, I noticed an instant glow on day one meaning that those who don't typically self tan but want to boost a washed out complexion would see improvement straight away. 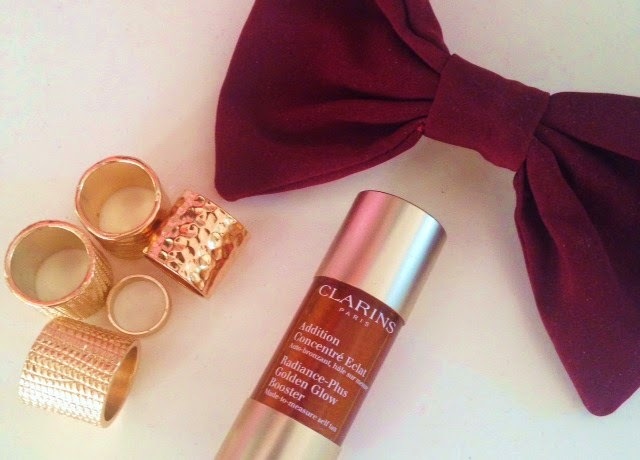 To maintain this glow I would recommend adding Clarins Self Tanning Radiance-Plus Golden Glow Booster to your serum or night cream each night for around four days in each week before taking 3 days off the product. 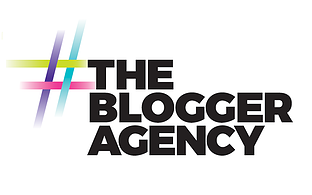 If, however you want to build a substantial self tan you will need to use the product each night for around a week to see a substantial result, much like the sort of facial tan you might be sporting fresh from a holiday in the sunshine. I also stopped using the product for 3 days during the 2 weeks to see whether the skin would start to appear patchy as is the case with some self tanners when use is reduced. Happily the facial tanner simply faded slightly before returning to a radiant glow following a night’s top-up meaning that the upkeep with this product is minimal and easily managed. 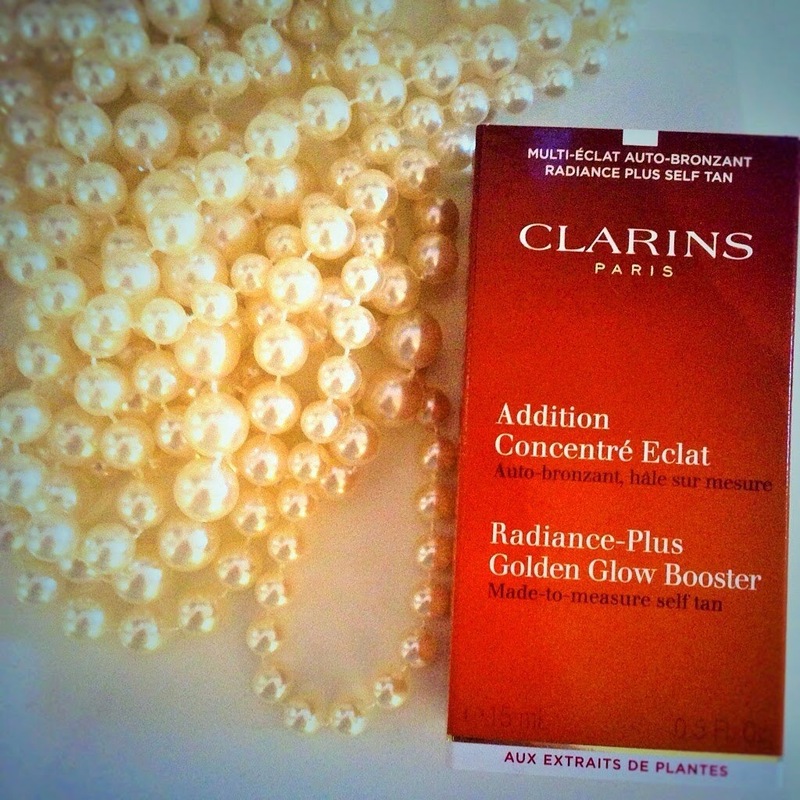 Clarins Self Tanning Radiance-Plus Golden Glow Booster is also so light-weight that it doesn't clog your pores and doesn't affect the texture of any night cream or serum it is added to, if you read my previous article on the current: "Beauty Miracle" you will know that I am currently enjoying the benefits of coconut oil as a night cream. The combination of the coconut oil and Clarins Self Tanning Radiance-Plus Glow booster has been nothing short of a miracle treatment for my skin, beautiful hydration and a clear and sun-kissed complexion I would recommend to all.